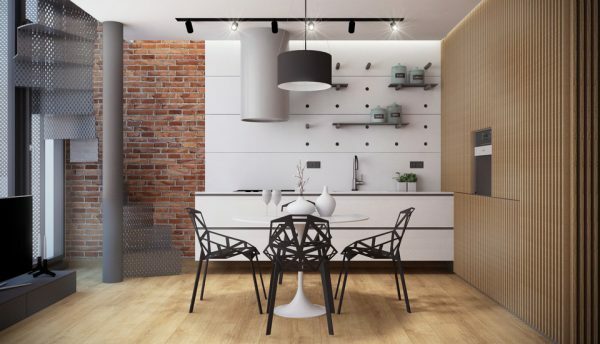 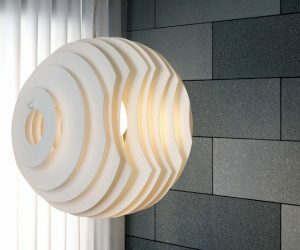 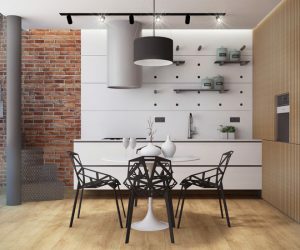 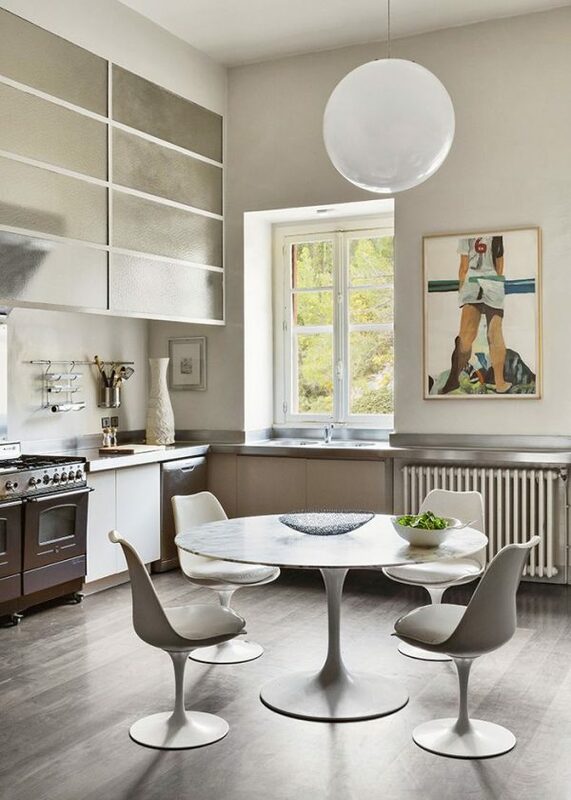 Designing for a kitchen-come-dining? 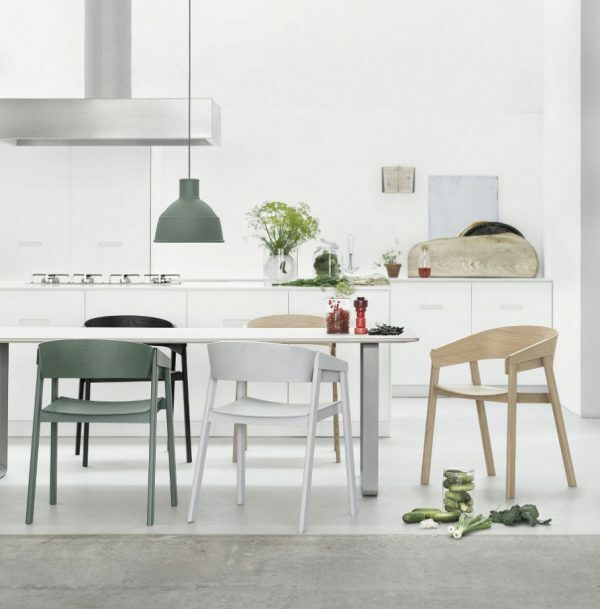 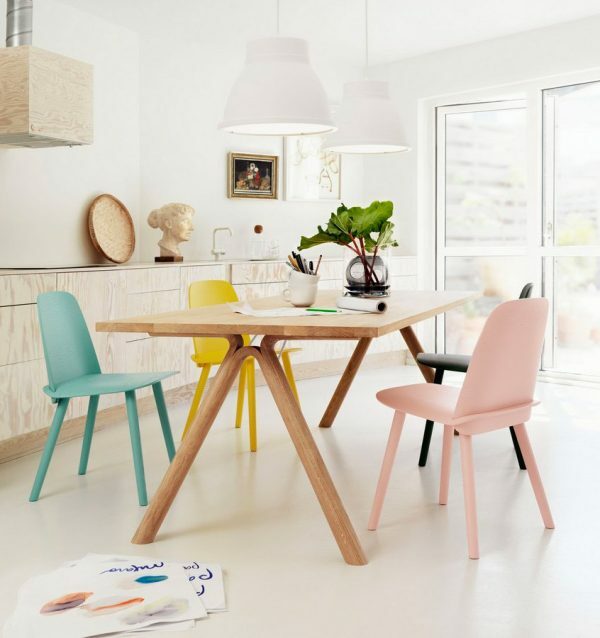 Match your dining chairs and table to the shade of your kitchen. 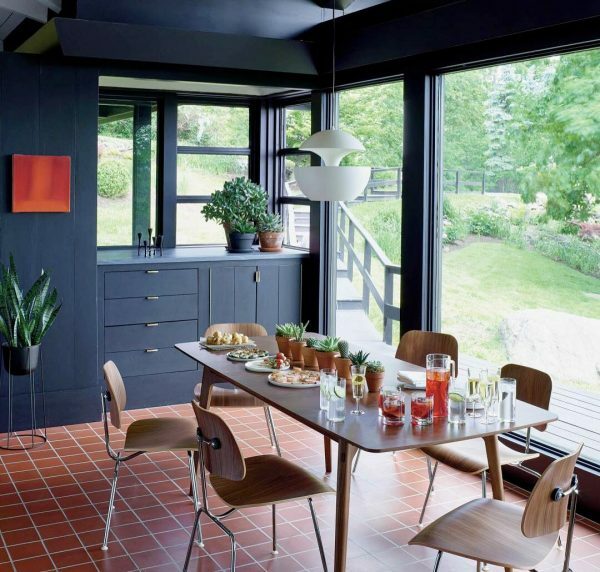 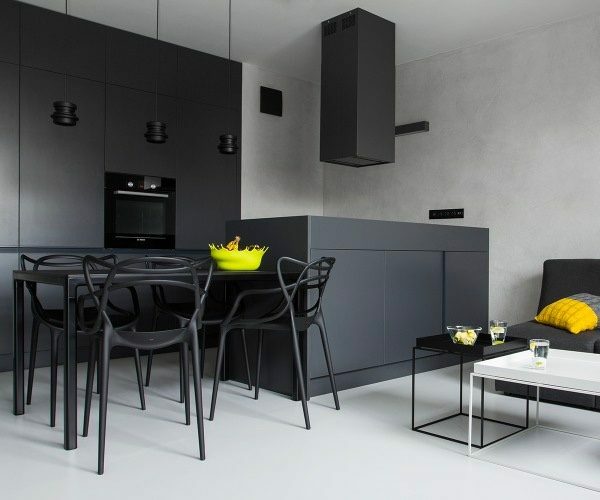 This simple, black rectangular table makes a charcoal bench seem longer, whilst drawing in the eye with a neon yellow fruit bowl. 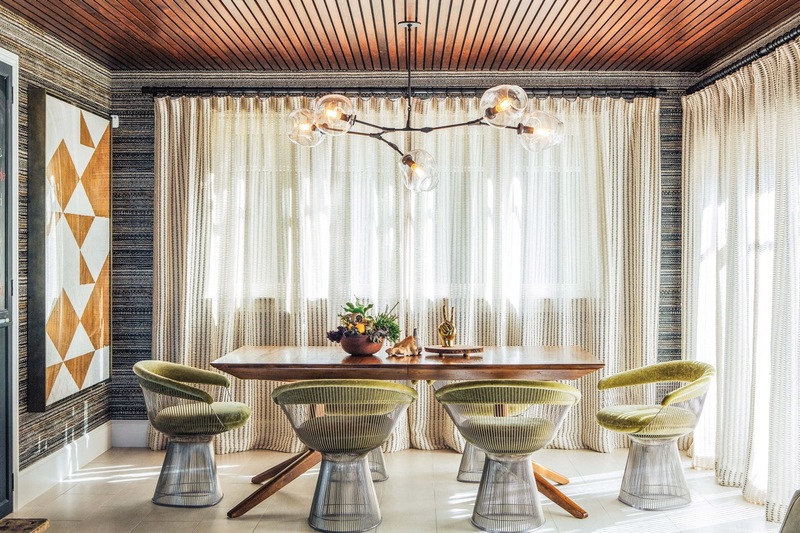 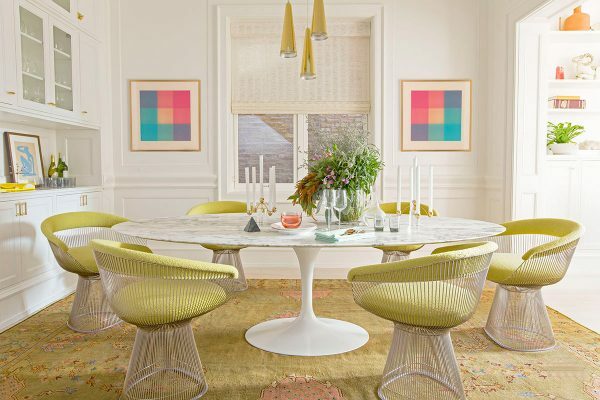 Four Kartell Masters chairs add subtle flair in similar materials. 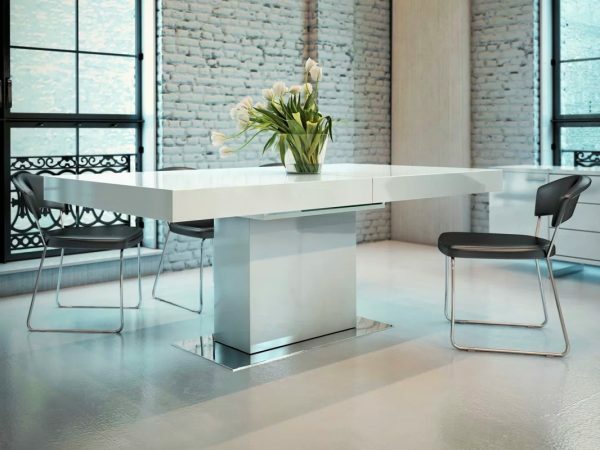 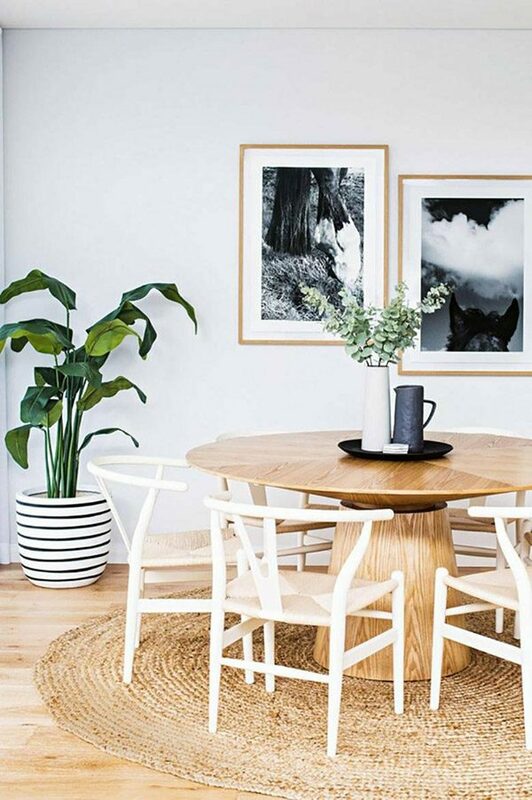 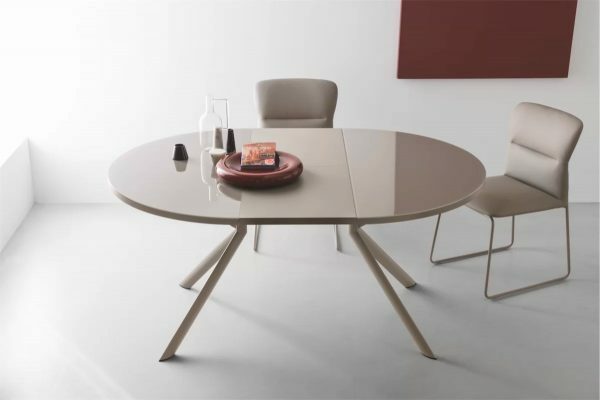 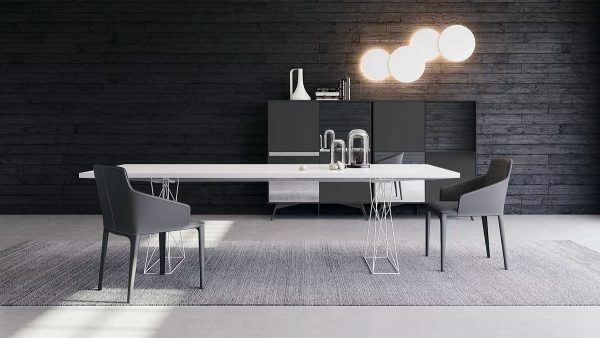 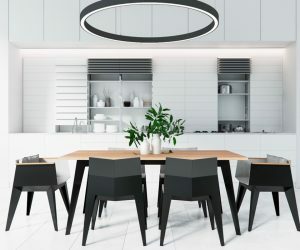 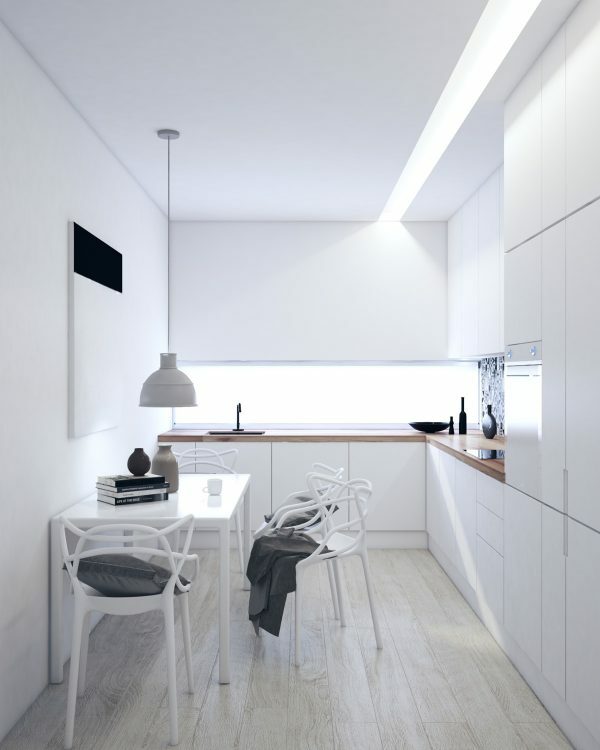 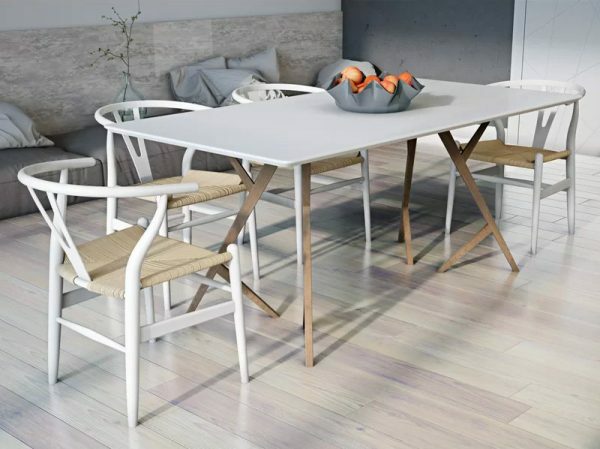 White Extendable Modern Dining Table: Not sure if you’re having two or six to dinner? 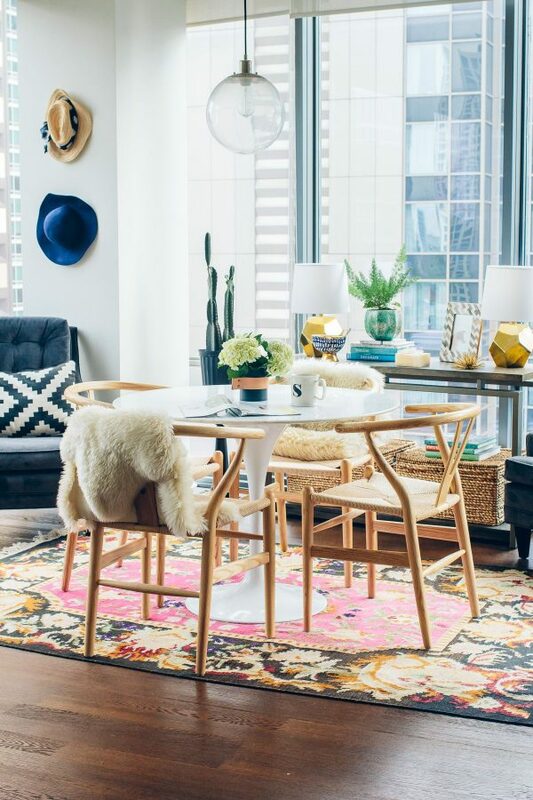 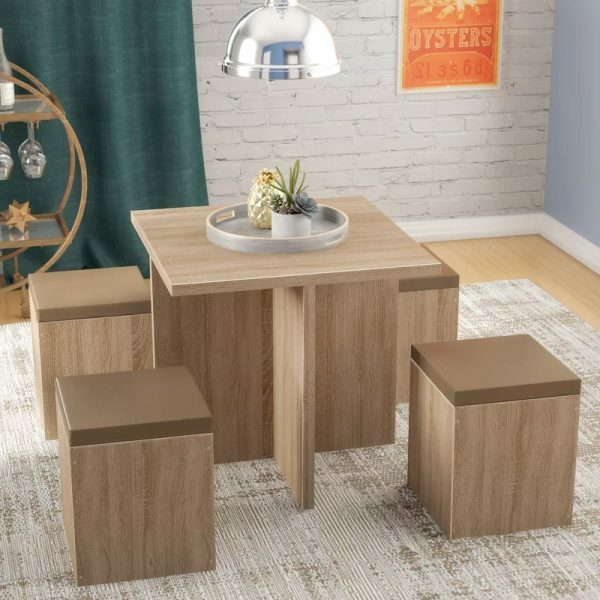 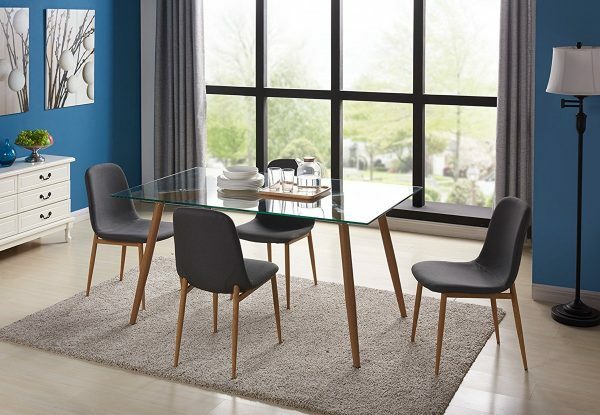 Try out this extendable table for size. 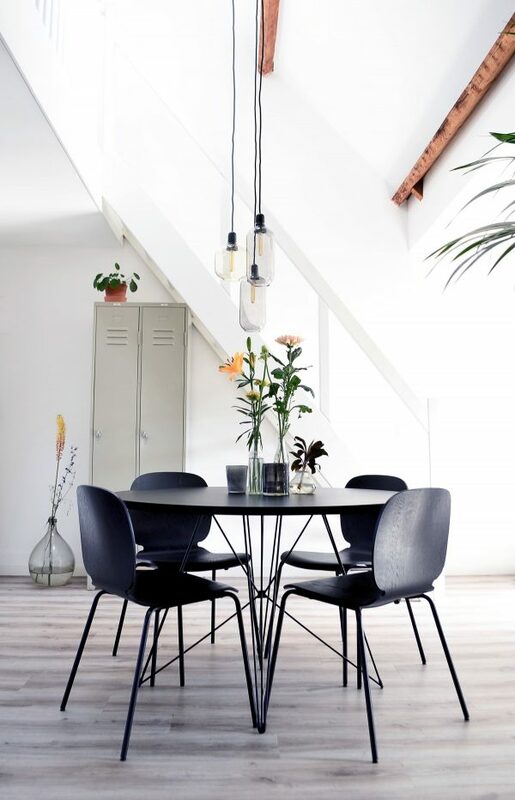 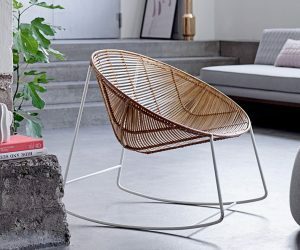 Growing from 160 to 205cm long and back again, it’s a solid companion for moulded plastic chairs – or you can buy the ones pictured here. 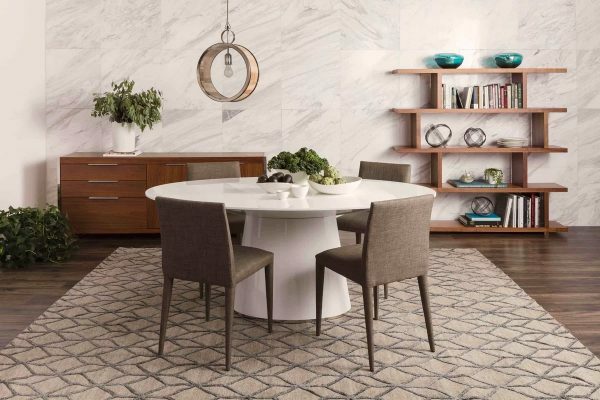 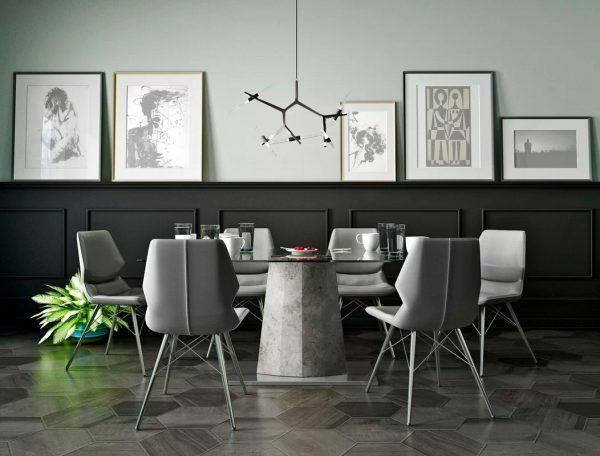 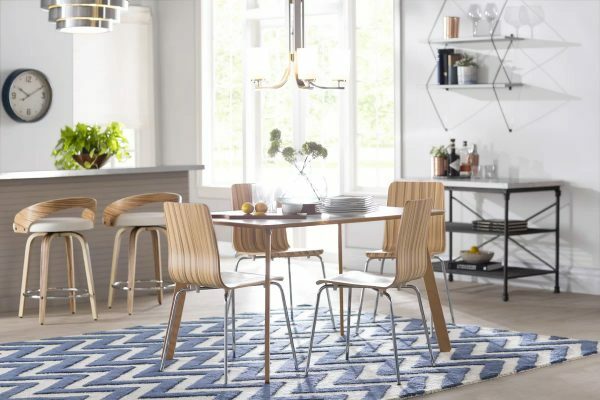 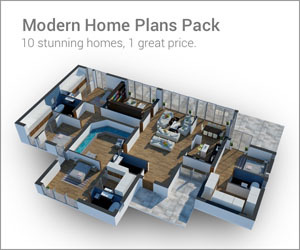 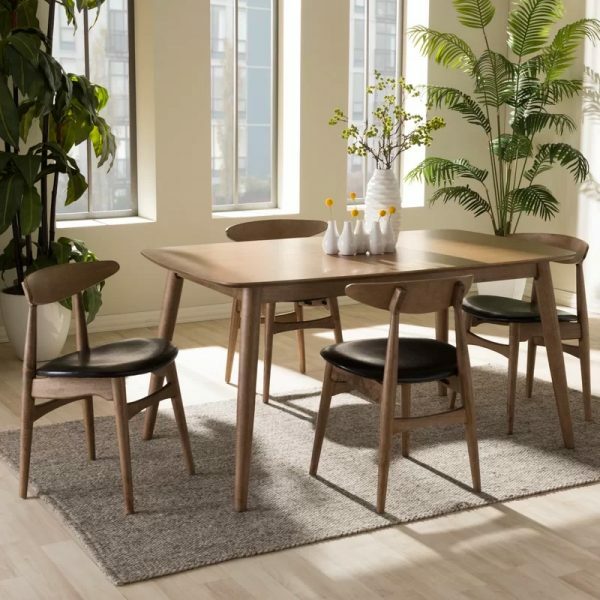 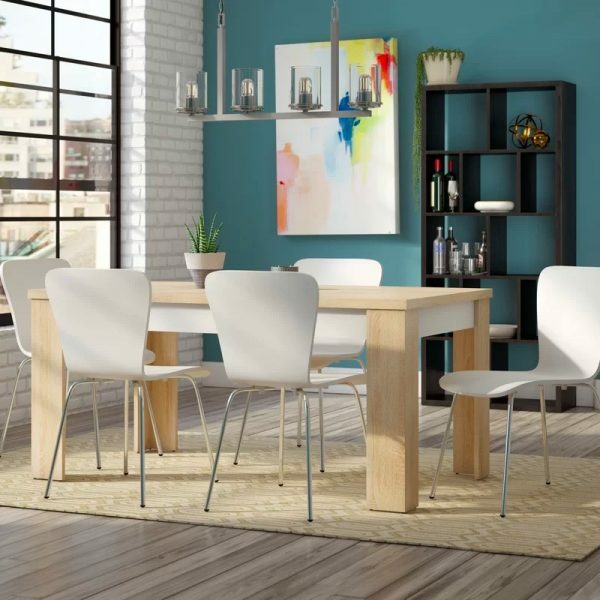 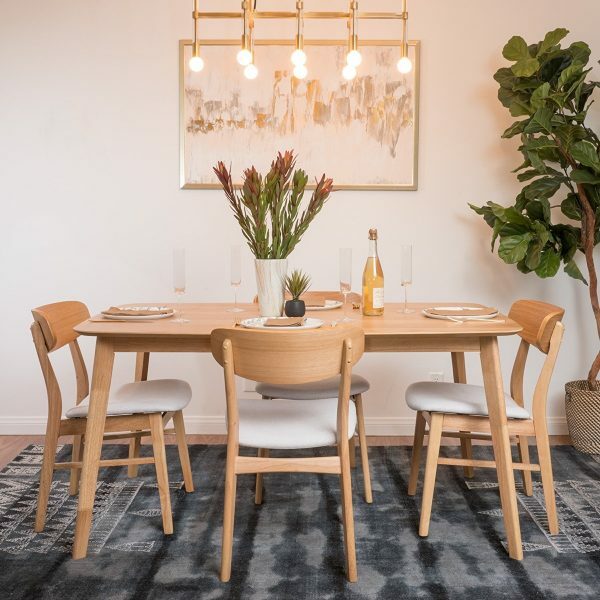 Need a modern dining room set for 8? 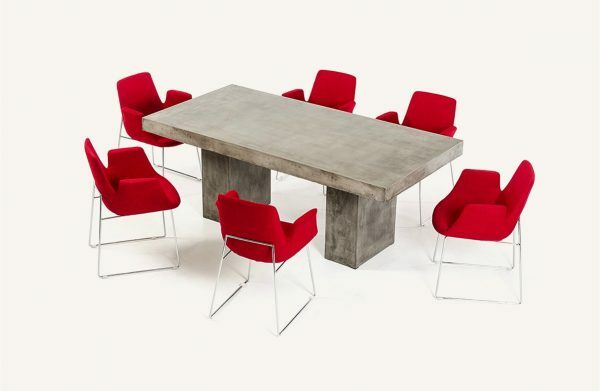 This Brazilian table with stainless steel legs finds favour in black, stitched leather case seats. 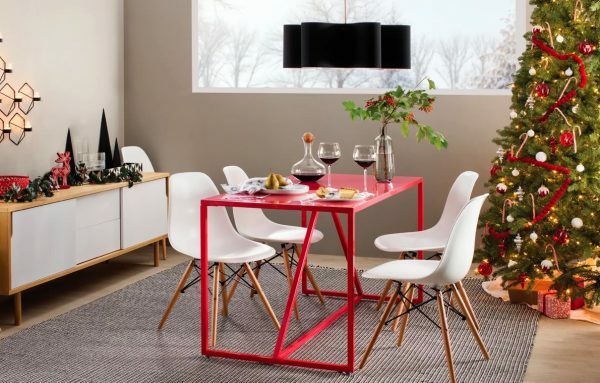 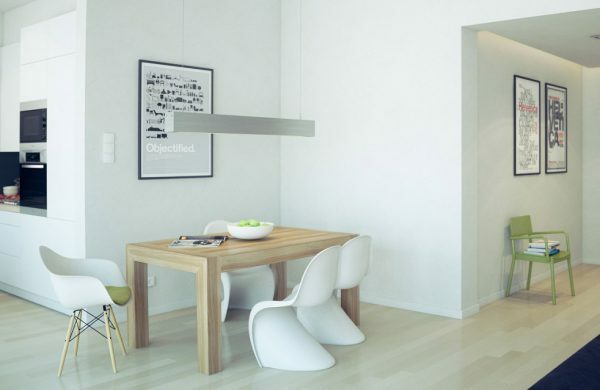 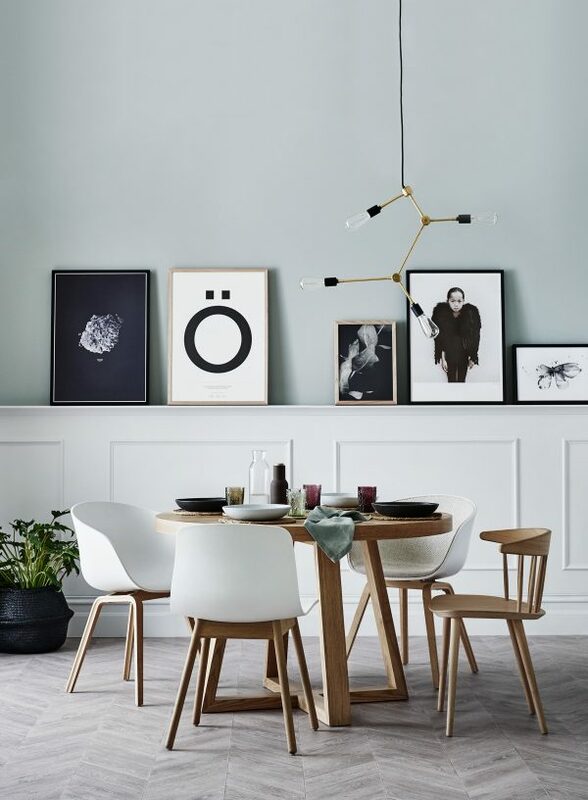 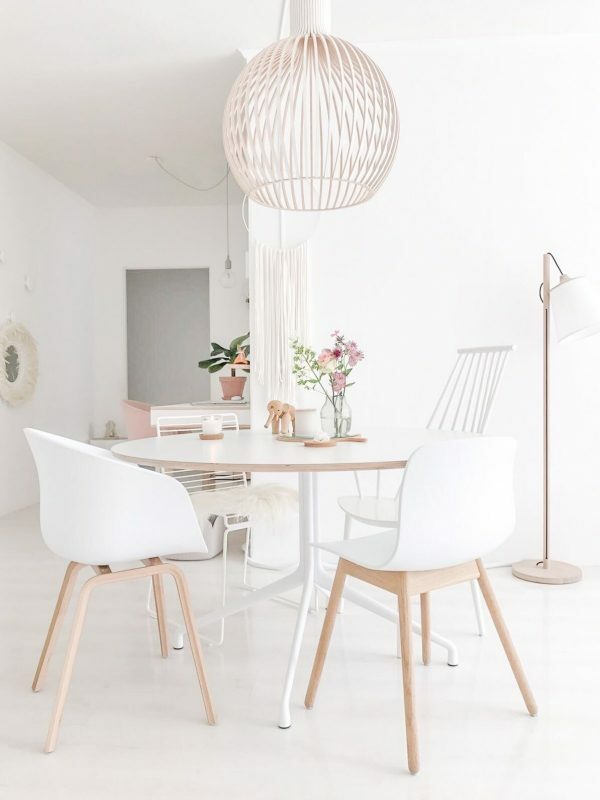 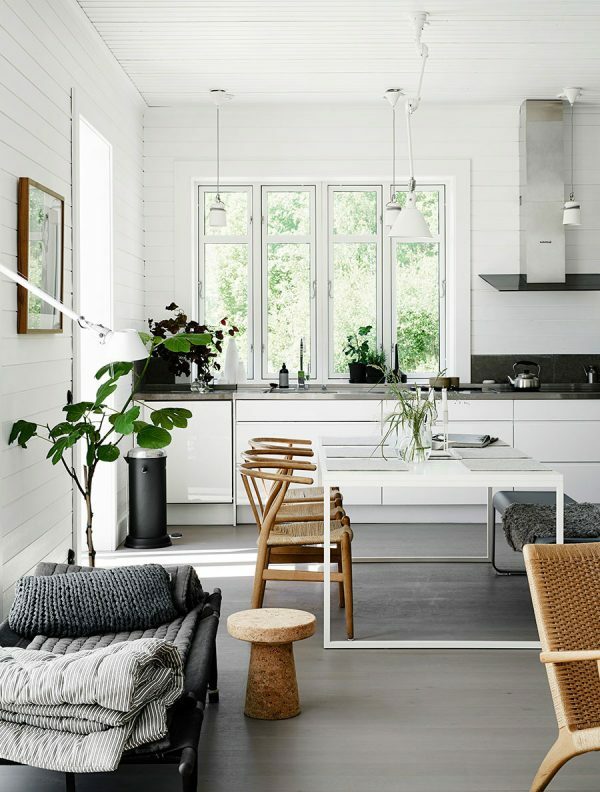 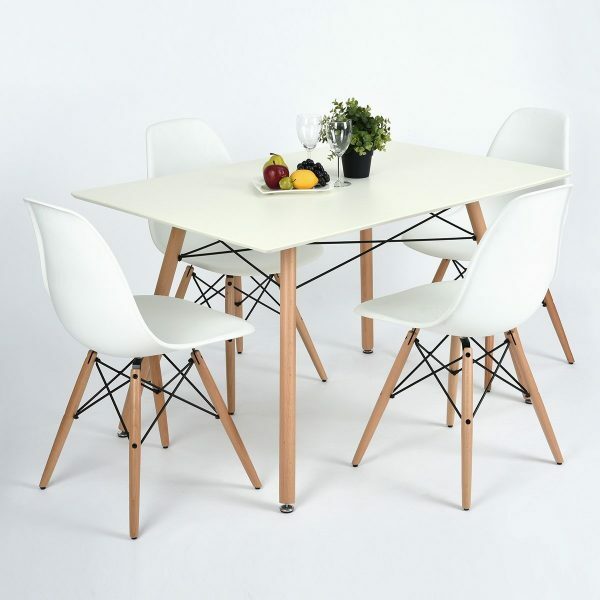 For an alternative, white-hued look, the Eiffel Base Eames-Style Molded Plastic Chairs would also work a treat.